(Newser) – After leaving a celebration of the couple's pending nuptials, a bride-to-be fatally stabbed her fiance over a potential wedding guest, according to police. 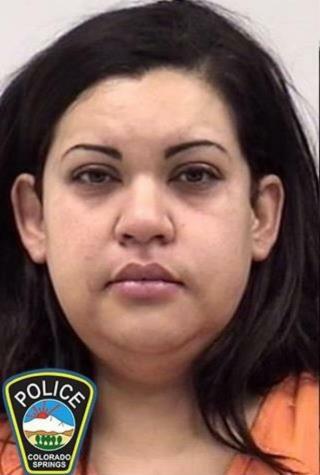 Jacqueline Souza, 31, called 911 from a home in Colorado Springs shortly after midnight Saturday, soon after leaving a local bar. When authorities arrived, they found a bloody steak knife on a kitchen table near Souza's 33-year-old fiance, Brandon Watkins, who was unresponsive on the floor, per KKTV. He was pronounced dead at the scene, reports KRDO. Souza then admitted the couple had been fighting about whether to extend a wedding invite to a woman with whom Watkins had an affair, police say. Watkins was all for the idea, but Souza, suspecting the affair was ongoing, apparently wasn't a fan. Still, she initially denied any involvement in her fiance's death. #1 She is a Mexican. Souza's not real last name of the psycho. Fresh over the border. #2 There was no argument. Military veteran, 3 tours in Middle East can fight off a steak knife... even if his opponent is a matched weight. Muscle is stronger than fat. #3 A disgusting tragedy. She is a menace to society and deserves the max sentence, enforced as soon as possible. Who knows who will be next.